Saturday morning's tree planting went very well. We had a great volunteer turnout; students, parents, and faculty members all worked together to plant a dozen trees in approximately two hours. Although it felt like Chicago (40 degrees and very windy) on the hill beside the school, everyone pitched in and got the job done. 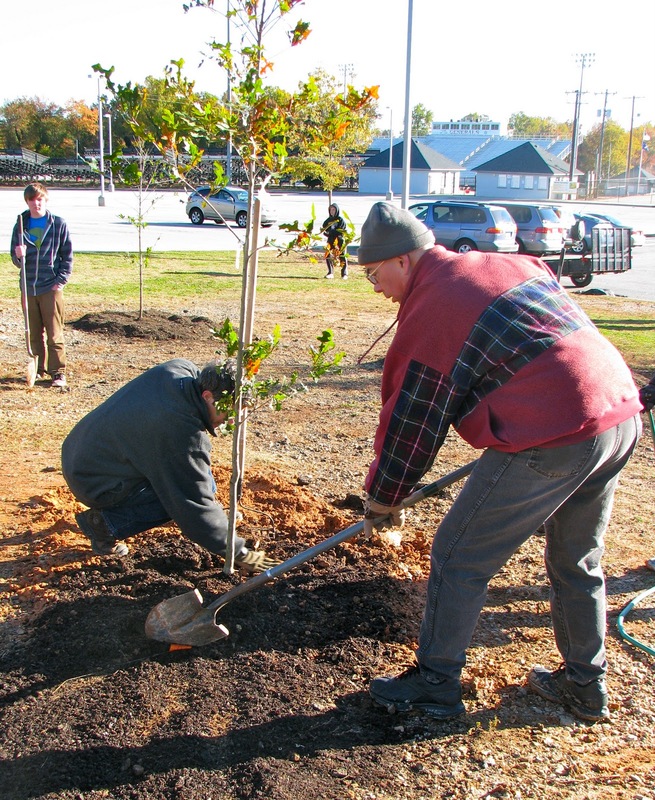 Thanks to everyone who participated, and thanks again to Trees Greenville for donating the trees to beautify our grounds. We're excited about watching them grow alongside our FAC students!